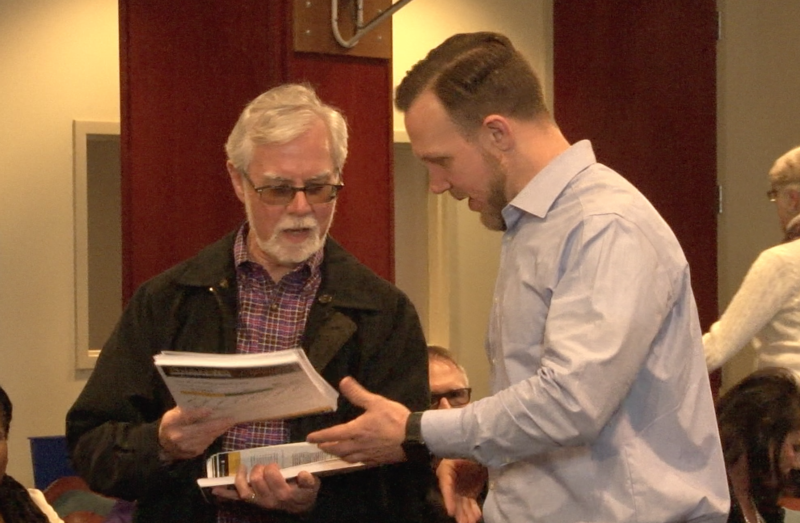 Saturday’s public meeting was organized by Muncie Community Schools board member Jason Donati – the only member not to speak publicly in support of House Bill 1315 and Ball State’s plan to run Muncie Community Schools. And those in the audience felt similarly. In the two hours of public comment, no community member spoke in full support of the bill. The audience was made up of parents of MCS students, like Ann Polk and Phil Boltz. “Never in my wildest dreams professionally, as a parent, or as a community member have I felt so small and powerless,” says Polk. “This is about using the opportunity of the Muncie Schools’ funding crisis to float a test balloon for school takeover in Indiana and in the United States,” says Boltz.